90% of Americans are more likely to trust brands that back social causes. What’s your social cause? If you think that your brand is going to run on just the product or service that you’re selling, you need to expand beyond being one-dimensional and tap into a social cause that you can bring attention to. Take it from our friends at EMU Australia. They specialize in premium footwear using the best natural materials and offer beautifully simple, innovative and luxurious products, however, they’ve made sure to also be the brand that has attached itself to a social cause. They recently teamed up with WaterAid, a global non-profit, to support access to safe water, sanitation and hygiene in the world's poorest and most marginalized communities. To kick off their partnership and create buzz among the blogger community about their partnership, they focused on building #Blue4Water, a global campaign for World Water Day last week (March 22), one of the largest fundraising days of the year for WaterAid. If your brand is looking to tap into a social cause to bring attention to a global social issue, take notes from EMU Australia on how to dip your toes into charity work and make the campaign work for your brand successfully. 1. Find a cause that aligns with your brand’s goals and visions. When collaborating with other companies, make sure that your goals and visions align. WaterAid and EMU Australia were able to come together in helping 15 communities across Papua New Guinea and Timor-Leste, two locations that are near and dear to EMU’s HQ in Australia. Not only that, EMU Australia and WaterAid were able to come together in a clear vision of what their campaign’s messaging and look needed to be, which helped make the campaign more impactful. When collaborating with other companies, make sure that your goals and visions align. 2. Team up with social media influencers, and make it easy for them. 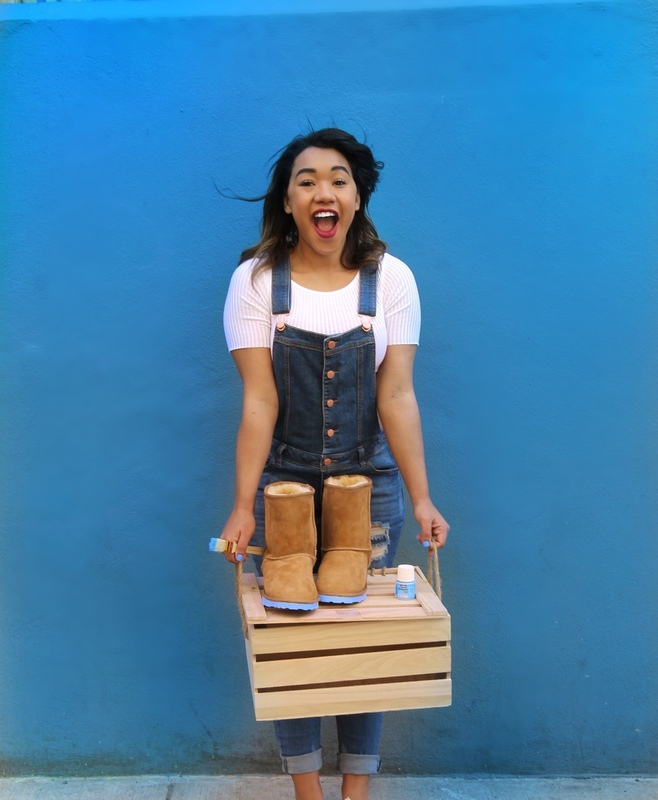 EMU Australia created a #Blue4Water blogger kit, which included DIY elements to allow bloggers to create customized, blue boots for World Water Day. These kits were sent to several influencers in the US, Canada and Europe and all posts went live the morning of March 22nd for a bigger impact. Also, they outlined everything down in a fact sheet that included key messages, social media handles and hashtags as well as some social copy for their Twitter, Facebook and Instagram accounts. This ensured a consistent message was delivered across the globe. 3. Keep it simple and consistent. use your resources. EMU used the same DIY kit in each region and used the same hashtags so they didn’t their followers were not confused by the message. Regardless if your audience is in Australia or the U.S., your message will always stay consistent the minute you publish it, so make sure that stays consistent across the globe, especially if the message is a global effort. With every campaign, you should always set your goals and make sure that the campaign was effective for you and your collaborators. Set your web traffic goals, newsletter signups, sales and donation goals, and follower goals and regroup at the end of the campaign to see successes and losses, and see how you can make your next charitable campaign better than the last. With every campaign, set your goals and make sure that the campaign was effective for you and your collaborators. 5. Have fun with it and engage inclusivity. While charities are done in all seriousness, engage your audience and followers into participating by letting them get creative and having them show how they support the cause on their social channels. Although Emu had a campaign set with 10 bloggers to ensure they were getting enough traction on their campaign, they made sure that the followers felt included as well just like the 10 influencers.